Character. Coste: 5. FUE: 3. 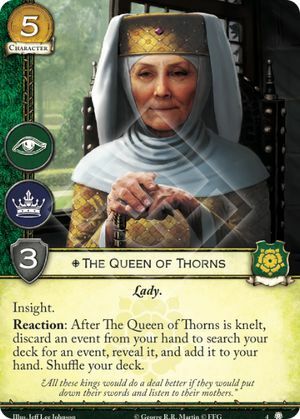 Reaction: After The Queen of Thorns is knelt, discard an event from your hand to search your deck for an event, reveal it, and add it to your hand. Shuffle your deck.